Noah is a very picky eater. The list of what he won’t eat is much longer than the list of foods that he will eat. Getting him to try something new is always a pain. I remember when he didn’t even want to try root beer from one of my favorite restaurants. They make their own so it’s always a special treat. I am always concerned that he is not getting enough nutrients in his diet. I have had to rely on vitamins to help get him those extra nutrients. Seriously, he is picky about everything. He has tried different vitamins too. When I worked with SmartyPants before, I had tried the Adult Complete + Fiber and Noah expressed interest in the kids formula. I didn’t want to give him adult vitamins so, I was thrilled when he received his very own Kids Complete Multivitamins. 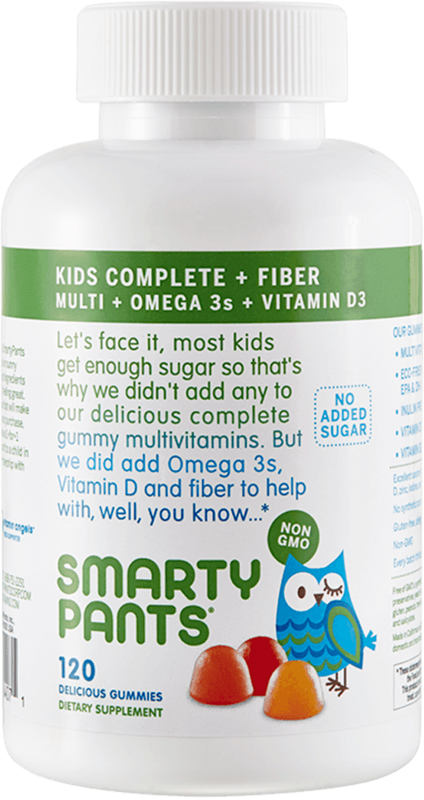 SmartyPants Kids Complete Vitamins + Fiber are packed with great stuff. Each vitamin contains Premium nutrients. They also contain Omega 3, DHA, and EPA Fish oil from sustainable small fish. There are no synthetic colors, no artificial flavors or preservatives. There is Prebiotic fiber too. There is also another kids formula that does not contain fiber. I feel really good about giving him these almost as much as Noah loves taking them. I remember telling him that they taste kind of like Dots candy. Once he tried them, he agreed with me. Even though he is 9 and a half, I reminded him that they are “medicine” and taking more than he should would be bad for his health. I don’t think that he would but they are that good. I tried a couple, and they were as good as the ones I received. They come in strawberry banana, orange and lemon. Noah says he likes all the flavors the same. I am partial to the strawberry banana ones. 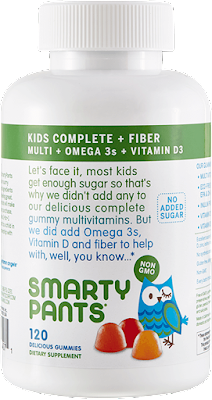 Of course Smartypants Kids Complete + Fiber is gluten free. It is also allergy free. That can be something hard to find with all the allergies kids have now days. I want to point out that they are tree nut free, peanut free and there is no dairy in them. They also contain no High Fructose Corn Syrup. They are also non GMO. Smartypants takes pride that there is no junk in these gummies. Noah used to dread taking vitamins, now he asks me first thing. Don’t forget that Smartypants participates in Vitamin Angels. So when you purchase a bottle of vitamins, Smartypants vitamins to a child in need. I think that it is so important that kids take vitamins, especially when they are a picky eater or if they don’t have access to healthy food. I love that Smartypants is so generous by helping others. The whole family can take Smartypants and you can help a family in need if you purchase multiple bottles. There’s a formula for everyone. Noah gives Smartypants two thumbs up and he told me that he thinks that they are EPIC vitamins. You know when he says something is epic, it must be really good. 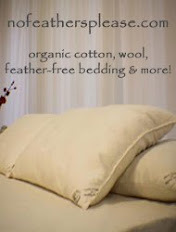 For more information and to purchase Smartypants Kids Complete + Fiber please visit the Smartypants website.